I"m sorry you and your family are going through some health issues. I hope things get better soon. 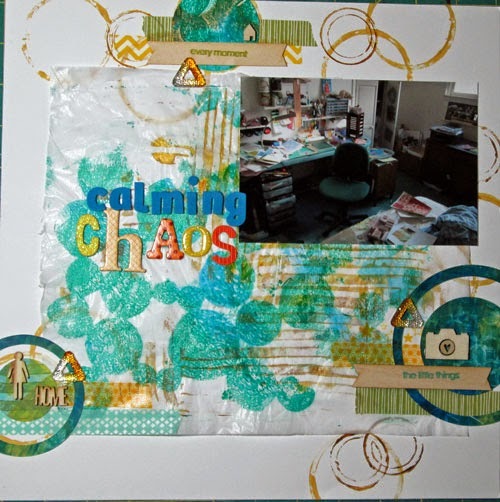 You've made some great prints with your gelli plate. It's just really hard to go wrong with circles, isn't it? I really love them with just about everything. 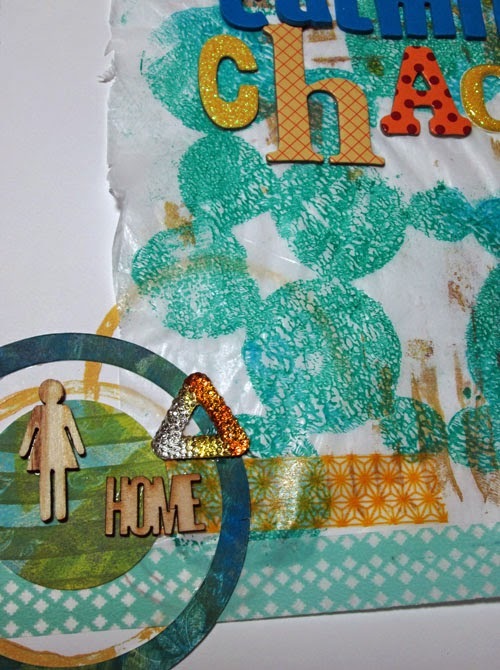 Your Gelli print looks great, too! Thanks for sharing. I'm glad your scrap room is a calming space for you. You need calm and time away when you're a caregiver. Loving all of the circles and the mixed media work. :) I'm glad my post today reminded you to let your kitty in. LOL!